Allow me to introduce you to "Albert," a name that means both "bright" and "famous." "Albert" a six foot-wide verre églomisé rhinoceros in rose gold, by Lynne Rutter. photo by David Papas. 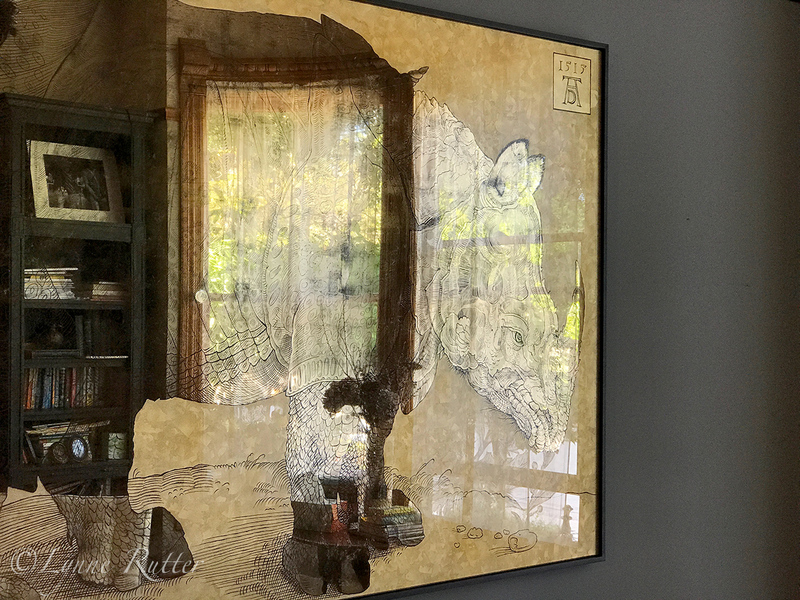 Approximately two meters wide, Albert is a verre églomisé mural, etched into gold on the reverse side of glass, and based on ( and named for) the famous rhinoceros woodblock print by Albrecht Dürer. 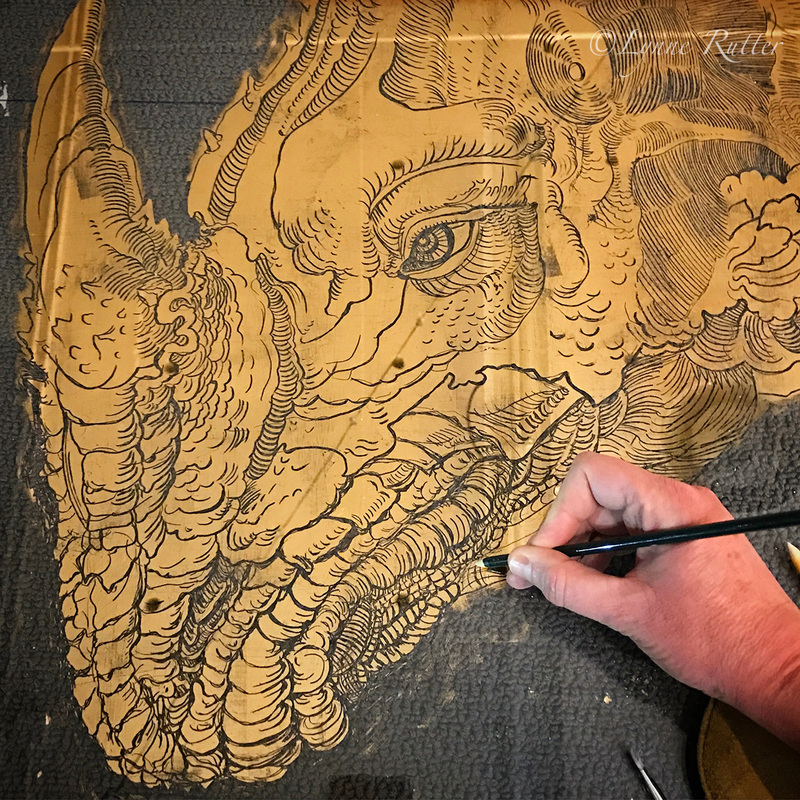 This commission came about when my client asked for a large painting with gold or copper and maybe an animal, or an imaginary creature, and then I said well you know if I did this on the back of glass, it would be way more work and so much more expensive but so totally cool! So of course they said yes. 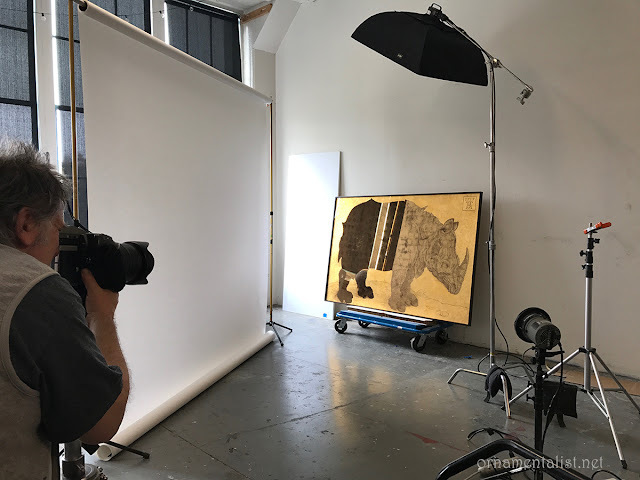 We chose the image of the rhinceros, which Dürer created having seen only a sketch of an Indian rhino. 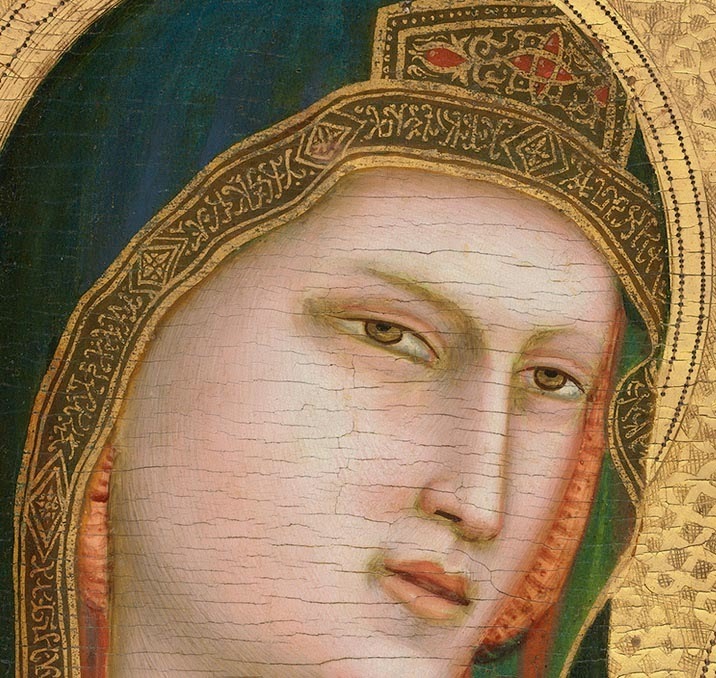 The folds of the skin look very much like armor. Dürer added an extra little spiral horn on the spine of his noble beast, as well as a pattern of spots over the "armor." 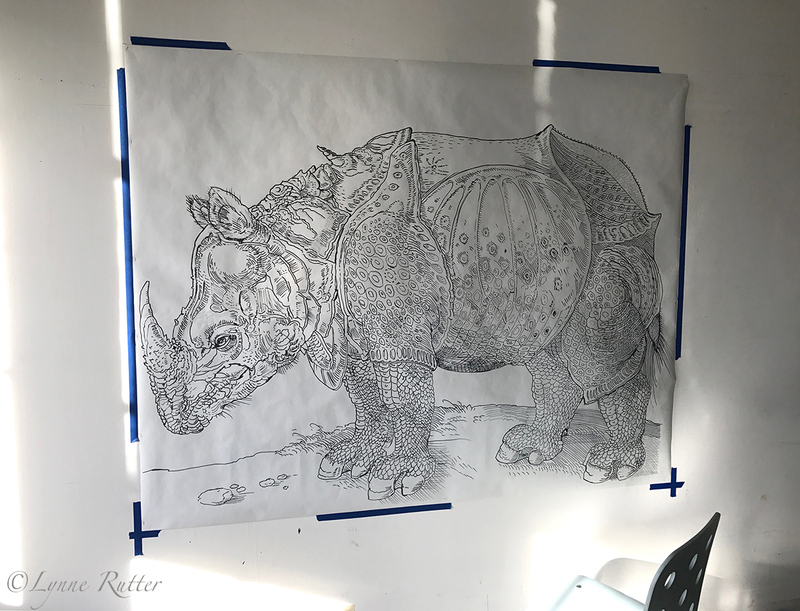 My first step in creating this mural was to get to know this creature very well, through a series of drawings at large size, in reverse, as this is how I needed to etch the image. As red gold, coincidentally known as "Albertina Gold," was being used for this piece, it was essential to work on Starfire glass, which is clear and colorless, as the color of normal glass would muddy the special rosy tone of the gold leaf. I gilt the rhino's body with a mirror finish, and then began etching the design through the gold. 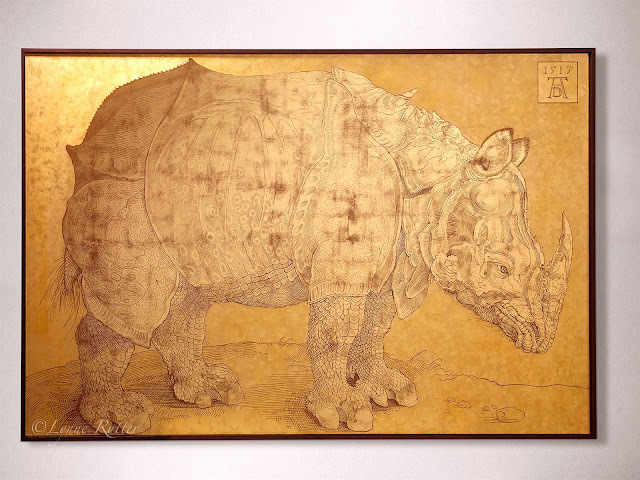 Once the body of the rhino was complete, the background was gilded with the same red-gold leaf, but with a matte finishin in a broken leaf pattern. Additional features were then etched into it. The piece was backed with a chocolate brown paint, and then mounted in a float frame of solid walnut built by Christine Lando. Installed in his new home Albert is the boss of the entire first floor. At first a ghostly apparition, the details of his face and body are visible from certain angles as you- and he- move about the room. What a wonderful project! 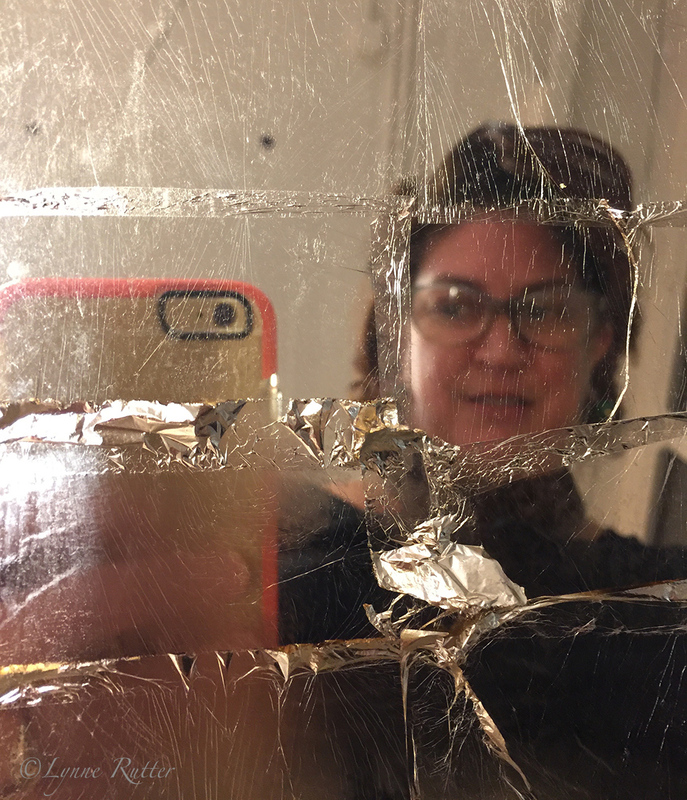 You have certainly had many large scale gilding projects over the last few years! thanks Theresa! Yes it's by design that my work is going in this direction. Incredibly beautiful. How talented, creative and patient you must be. Thank you for sharing this. HI Alix. 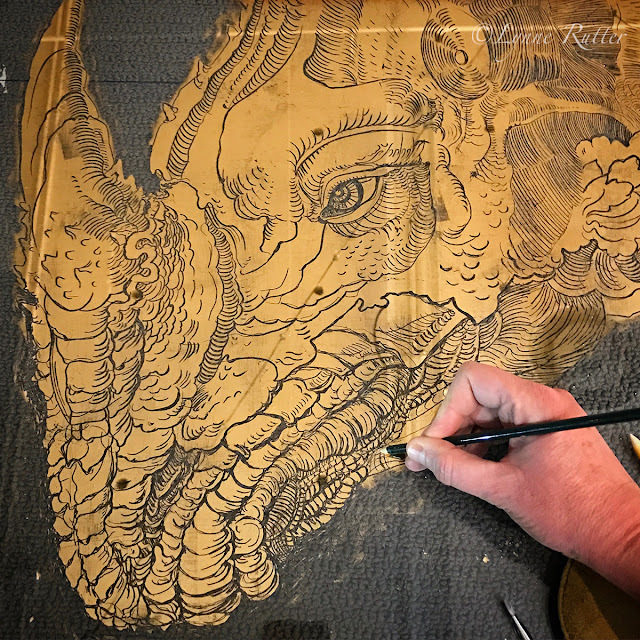 I use a number of techniques to transfer including using the drawing itself, a grid-transfer, and carbon paper, but the vast majority of the details were etched by eye- simply looking at sections of the source material proved to be the most efficient method for me. 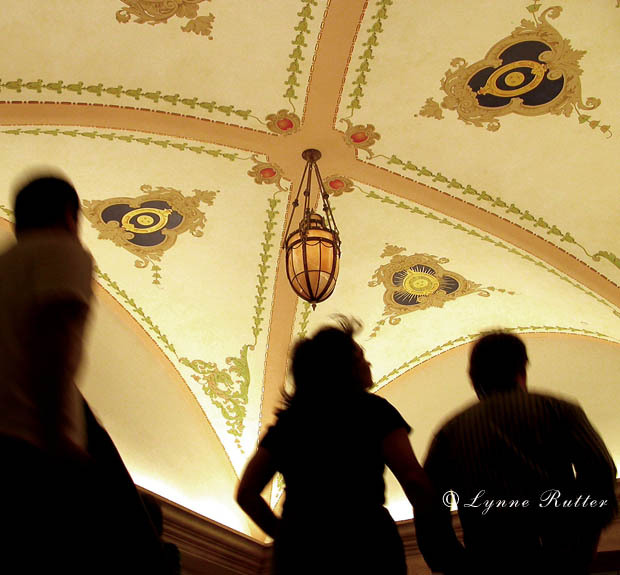 This is absolutely gorgeous, Lynne! Thanks for sharing the whole process. I've never worked with gold leaf, but now I'm itching to give it a try (but I'll have to work up to your scale!!). Keep on working, grdeat job! Thank you or sharing this beautiful and inspiring new work! Your knowledge and generosity as an artist and teacher is inspirong and trustworthy! Hi Debora! Starfire is a special colorless glass. I don't think it is available tempered. 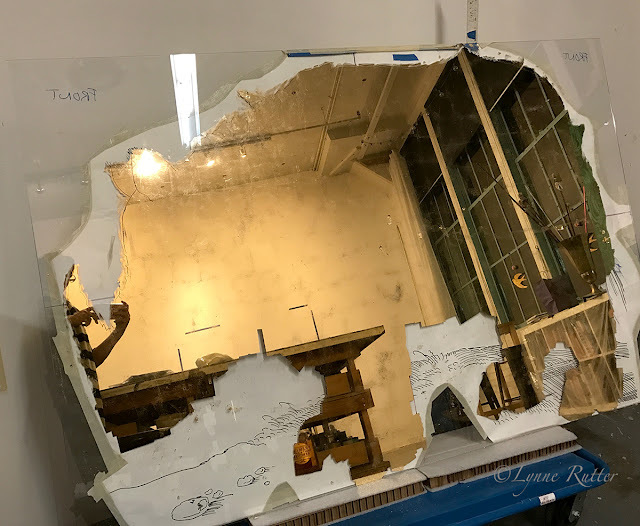 Your local glass supplier can order it for you. The thickness needed depends on the piece you are making and how it will be used. I always make lots of samples to figure out what works best.